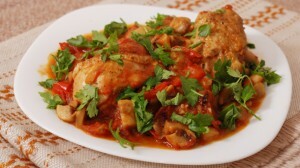 Chicken Marengo is a dish that is surrounded by a great deal of myth. The dish consisted of a chicken sautéed in oil with garlic and tomato, and garnished with fried eggs and crayfish. It is similar to Chicken à la Provençale, but with the addition of egg and crayfish. The latter ingredients are traditional to Chicken Marengo, but are now often omitted. 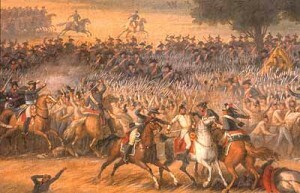 The original dish was named to celebrate the Battle of Marengo, a Napoleonic victory that was fought on June 14, 1800. According to popular myth, Chicken Marengo was first created after Napoleon Bonaparte defeated the Austrian army at the Battle of Marengo, south of Turin, Italy. His personal chef Dunand foraged in the town of Marengo for ingredients, because the supply wagons were too distant. Dunand created the dish from what he could gather. According to this story, Napoleon enjoyed the dish so much he had it served to him after every battle. When Durand received better supplies, later on; he substituted mushrooms for crayfish and added wine to the recipe. Napoleon refused to accept it, believing that a change would bring him bad luck. This colorful story, however, has been proven to be a myth. Alan Davidson writes that there would be no access to tomatoes at that time, and the first published recipe for the dish omits them. Also, according to The Old Foodie blog, Dunand did not become Napoleon’s chef until after the event. And the dish was not mentioned in contemporary accounts or cookbooks until nearly two decades later. Pat chicken dry, then combine flour, salt, and pepper in a large sealable plastic bag and add chicken. Seal bag and shake to coat, then remove chicken, knocking off excess flour. Arrange in one layer on a plate. Heat oil in a 12-inch heavy ovenproof skillet over moderately high heat until hot but not smoking, then sauté chicken, smooth sides down, until golden, about 2 minutes. Turn over and sauté one minute more. Scatter mushrooms around chicken and transfer skillet to oven, then bake, uncovered, until chicken is just cooked through, five to ten minutes. Transfer chicken to a plate, then add shallot, garlic, and thyme to skillet (handle will be hot) and sauté over moderately high heat, stirring, one minute. Add wine and boil, stirring and scraping up brown bits, until reduced by half, about 1 minute. Add tomatoes, demi-glace, and water and simmer until mushrooms are tender and sauce is reduced by half, about 4 minutes. Season with pepper. Return chicken to skillet and simmer, turning, about one minute. 1. 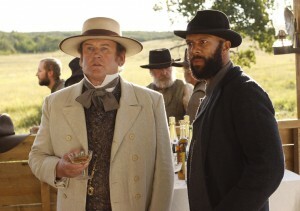 (1.07) “Revelations” – Financier Thomas C. Durant and widower Lily Bell leave the “Hell on Wheels” camp to travel to Chicago for different reasons. 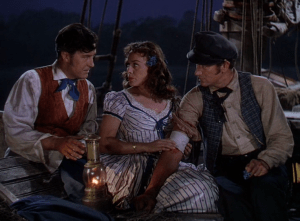 Thomas Moore and his Irish gang finds former slave Elam Ferguson in the tent of prostitute Eva. 2. (1.02) “Immoral Mathematics” – Vengeance seeking former Confederate Cullen Bohannon fights for his life, as he tries to evade camp security officer Thor “the Swede” Gundersen after killing one of the Union men who had murdered his wife during the Civil War. Joseph Black Moon track down the Cheyenne braves (including his brother) responsible for the attack on the surveyors’ camp. 3. (1.10) “God of Chaos” – In the season finale, Cullen tracks down a former Union soldier named Harper, whom he believes was one of the men who killed his wife. Durant and Lily conspire to gain arriving investors’ interests. And Elam and Eva express different views on what their future should be. 4. 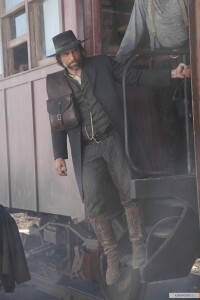 (1.09) “Timshel” – Cullen, Elam, Joseph Black Moon and a squad of soldiers find the Cheyenne responsible for the attack on the surveyor camp that led to the death of Lily’s husband and for the derailment of a train. 5. (1.04) “Jamais Je Ne T’oublierai” – Cullen initiates his search for Harper. Lily finally arrives at the “Hell on Wheels” camp, following the Cheyenne attack on the surveyor’s camp and the death of her husband. Elam becomes involved with a prostitute named Eva. Despite the tragic ending of the last episode, Episode Two of “HEAVEN AND HELL: NORTH AND SOUTH BOOK III” proved to be even darker. Bent continued his crime spree by assaulting an Illinois farm girl and kidnapping Charles’ son, Gus in St. Louis. Charles’ decision to become an Army scout in order to hunt down Scar led to his breakup with Willa Parker. Worse, he witnessed the massacre of a peaceful Cheyenne village by U.S. troopers led by Captain Venable. Madeline’s conflict with Cooper, Gettys LaMotte and the local Ku Klux Klan resulted in tragedy for one of the Mont Royal workers. Overall, Episode Two was pretty first-rate. I only had a few quibbles. Stanley and Isobel Hazard (Jonathan Frakes and Deborah Rush) made a re-appearance in the saga without any explanation of how they avoided conviction for war profiteering. I guess anyone can assume that they were exonerated. Keith Szarabajka continued his over-the-top portrayal of Harry Venable. Even Gary Grubbs, usually a very dependable performer, indulged in some hammy acting during a scene that featured the KKK’s ambush of two Mont Royal workers. And aside from a few scenes of solid acting, Lesley Anne Down continued her exaggerated take on the Southern belle. Fortunately, the good outweighed the bad. Ashton discovered that manipulating her second husband, Will Fenway, might proved to be difficult in a well-acted scene between Terri Garber and Tom Noonan. 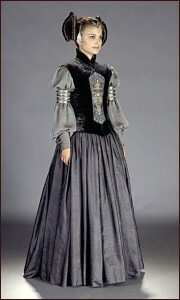 Genie Francis appeared like a breath of fresh air, when her character, Brett Main Hazard attended Constance’s funeral. 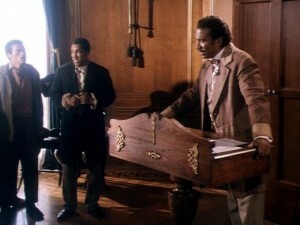 This episode also featured an outstanding performance by Stan Shaw, in a scene about Isaac’s attendance of a political conference for freed slaves in Charleston. By the way, this particular conference actually happened and was hosted by activist Francis Cardoza, portrayed by Billy Dee Williams. Both Kyle Chandler and Rya Kihlstedt continued their strong screen chemistry, as they played out Charles and Willa’s stormy relationship. And James Read did an exceptional job in portraying George Hazard’s grief over the murdered Constance. 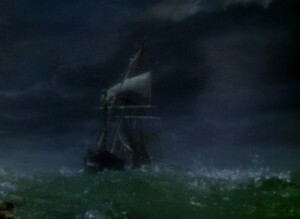 But the episode’s three showcases featured the KKK’s attack upon the two Mont Royal workers – Isaac and Titus, the U.S. Calvary’s massacre of a peaceful Cheyenne village and a kidnapping. Thanks to Peerce’s direction, I found all three scenes very chilling. Grubbs’ hammy acting was unable to spoil the scene featuring the KKK attack. And I could say the same about Szarabajka in the cavalry massacre scene. One last chilling moment featured Bent’s latest attack upon the Hazards and the Mains – namely his kidnapping of young Gus. 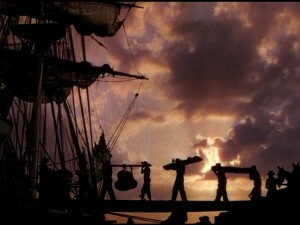 The entire sequence was swiftly shot, but Peerce’s direction and Casnoff’s performance left chills down my spine. By the end of Episode Two, I found myself wondering about the fandom’s hostile attitude toward this third miniseries. Granted, the production values of “HEAVEN AND HELL” did not exactly matched the same level as the first two miniseries. But the miniseries’ writing seemed to match and sometimes improve the quality of the writing found in the 1986 series. So far, so good. As many fans of Agatha Christie are aware, one of her most highly acclaimed and controversial novels is “The Murder of Roger Ackroyd”. I had checked the Internet to see how many adaptations had been made from well-regarded tale. I was surprised to learn there were at least seven adaptations, considering its difficult plot twist. The third to the last adaptation proved to be the last adaptation was the 103-minute television movie that aired on ITV’s “AGATHA CHRISTIE’S POIROT” in 2000. “THE MURDER OF ROGER ACKROYD” seemed like your typical Christie novel. After retiring to the small village of King’s Abbott, Belgian-born detective Hercule Poirot stumbles across a mystery in which an old friend of his, an industrialist named Roger Ackroyd has been murdered. Sometime earlier, another friend of Ackroyd, a widow named Mrs. Ferrars, had committed suicide when she is suspected of killing her husband. Another murder occurs before Poirot, with the help of Chief Inspector Japp and local physician Dr. James Sheppard, solves the murder. Screenwriter Clive Exton made some changes to Christie’s novel. He deleted a few characters, changed Poirot’s relationship with Ackroyd from simply neighbor to old friend, and added Chief Inspector Japp to the cast of characters. This last change greatly affected the story’s narrative. 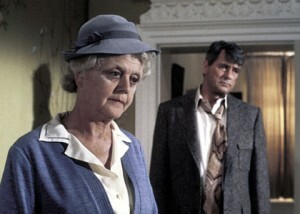 Christie’s novel was narrated by the Dr. Sheppard character. 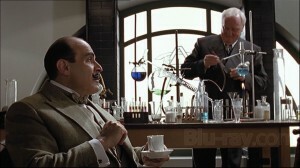 By having Japp replace him as Poirot’s closest ally, Exton nearly made Dr. Sheppard irrelevant. Exton ended up doing the same to a character in 2001’s“MURDER IN MESOPOTAMIA”, when he added Arthur Hastings to the story, allowing the story’s true narrator, Nurse Amy Leatheran to become irrelevant. However, the addition of Japp to “THE MURDER OF ROGER ACKROYD” transformed Christie’s story from a unique tale, to something . . . well, rather typical. With the addition of Japp, the story became another typical Christie murder mystery set in a small village. Pity. I also believe that Exton damaged Christie’s original narrative even further with other major changes. One, he revealed major hints of the killer’s identity before Poirot could expose the former. And once the killer was exposed, audiences were subjected to a theatrical and rather silly chase scene throughout Ackroyd’s factoy, involving the police. And if I must be honest, I found myself wondering why on earth Poirot had decided to retire as a detective and move to the country in the first place. How long had he been gone before his reunion with Chief Inspector Japp? Was there anything I like about “THE MURDER OF ROGER ACKROYD”? I thought it was a tasteful movie, thanks to Rob Harris’ production designs that beautifully recaptured rural England in the mid-1930s. 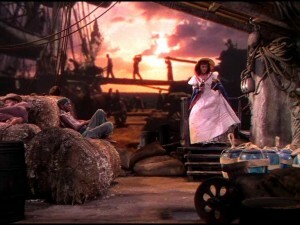 His work was ably complimented by Katie Driscoll’s art direction, and Charlotte Holdich’s costume designs. In fact, I can honestly say that the latter did a first-rate job in not only creating costumes for that particular era, but specifically for each character. Although some of Exton’s narrative changes robbed the story of its famous plot twist and featured a badly-handled revelation of the murderer, I will give kudos to the screenwriter for creating a plausible murder mystery that made it somewhat difficult for any viewer not familiar with Christie’s novel, to guess the killer’s identity . . . to a certain point. 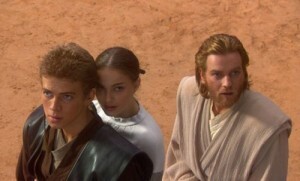 The movie also featured some solid performances. David Suchet gave his usual competent performance as Hercule Poirot. He had one rather amusing scene in which the Belgian detective struggled with the vegetable marrows in his garden. I could say the same about Philip Jackson’s performance as Inspector Japp. Both Oliver Ford-Davies and Selina Cadell were amusing as the much put upon Dr. James Sheppard and his very nosy sister, Caroline. I read somewhere that the Caroline Sheppard character may have been a forerunner of the Jane Marple character. Malcolm Terris gave a very emotional performance as the story’s victim, Roger Ackroyd. Both Daisy Beaumont and Flora Montgomery were also effectively emotional as Ursula Bourne and Flora Ackroyd (the victim’s niece) – the two women in the life of Ralph Paton, Ackroyd’s stepson and major suspect. Speaking of the later, Jamie Bamber gave a solid performance as Ralph. But honestly, he did not exactly rock my boat. However, I was impressed by Roger Frost’s portrayal of Ackroyd’s butler, Parker. I thought he did a very good job in portraying the different aspects of the competent, yet rather emotional manservant. Looking back, I really wish that Clive Exton had maintained Christie’s narrative style for this television adaptation of her 1926 novel. I believe it could have been possible. By changing the narrative style and adding the Chief Inspector Japp character to the story, Exton transformed “THE MURDER OF ROGER ACKROYD” from a unique story to a typical Christie murder mystery. Pity.